Wow, has it really been six months since I posted here? That length of time matches up to the length of time since my last race! Its been a few years since I had a six month break in racing. The difference between then and now is I didn’t stop training. What I did do, over the summer, was cut back a bit on mileage and focus on speed. We’ll see how that goes when the Miami Marathon rolls around but first up, TriRock Clearwater! I did this event 2 years ago and I really wanted to do it again this year. Last weekend was the inaugural Ironman 70.3 Chattanooga and also my third race at the distance. Up until this race I would have suggested anyone looking for a great half iron distance race to consider Augusta. After racing Chattanooga I’d have to defer to this one! (Not that Augusta doesn’t remain an awesome race) The town itself is perfect for the race. There are a ton of good hotel options that are walkable to the Ironman village and transition. There are also a lot of restaurants in the downtown area that make dining easy in the days leading up to the race. I had some delicious BBQ on the Friday I arrived. Finally! Race morning! When I woke up on Saturday, around 3:45, I immediately noticed the very ominous howling noise. It sounded like a freight train was going by outside. I grabbed my phone and looked at the weather. Uh oh. I had a bad feeling when I saw that there were rip current warnings. But I put it out of my mind and continued my morning prep. Hugo and I got dressed and drove over to the Walmart parking lot to take a shuttle to our special needs bags drop off. It was COLD. I was not prepared for this weather at all. Leading up to the race I bought arm warmers for the bike and had packed gloves with fingers for the bike as well. I brought multiple running shirt options as well. I was feeling prepared to race in cold weather. I was not prepared, however, to walk around in it. I had flip flops on (of course) and my Space Coast marathon pullover was all that was keeping me warm. Once we made it to Pete’s condo, after pumping up our bike tires, we had a nice breakfast and Hugo, Maria and I headed to swim start while Kari stayed warm in the condo a little longer. 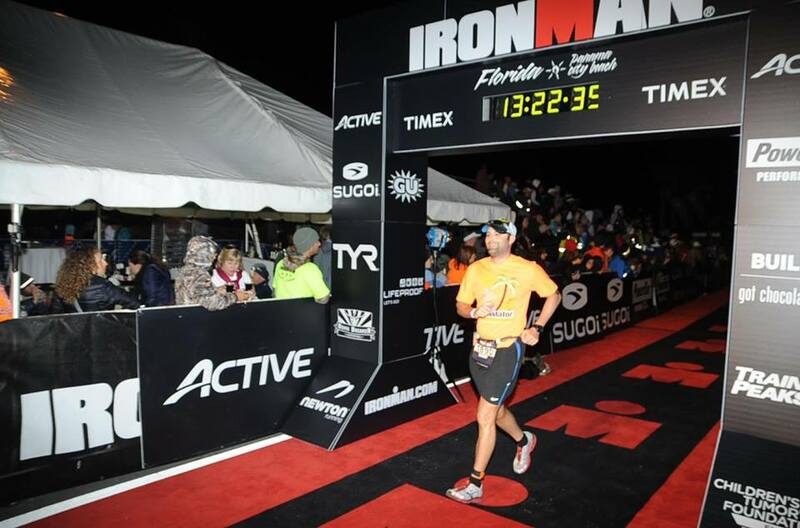 Almost a year and a half ago, I started a crazy journey that finally culminated at Ironman Florida this past weekend. Its crazy to think about all of the things that happened to get me to the starting line of the race. Some of it was cosmic intervention. A lot was pure grit. The journey was important though and for anyone that would ever consider taking on something like this, be it an Ironman, a 70.3, marathon or whatever your goal is, enjoy the journey. The end result should be the icing on the cake. 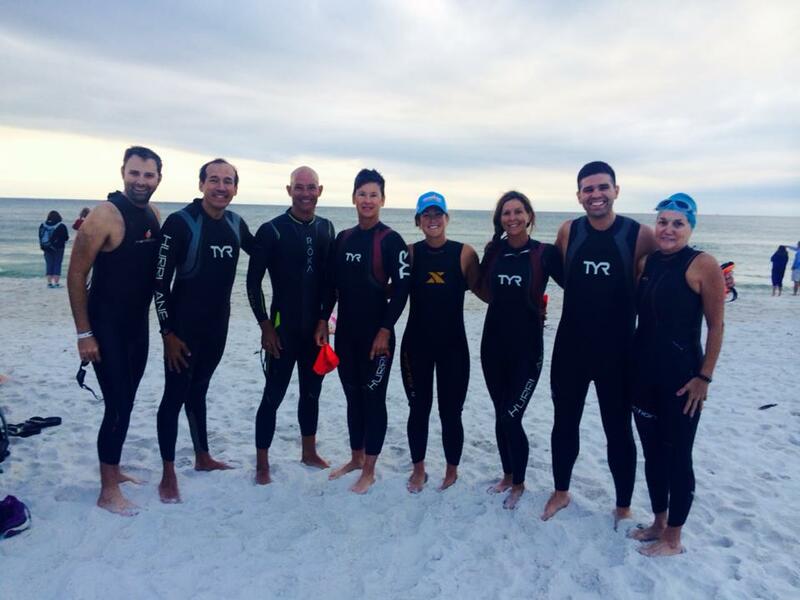 I’ll get this part out of the way: Ironman Florida had no swim this year. Due to weather conditions that made it impossible for the safety crews to get and stay in position, the WTC made the correct call to cancel the swim. So this year’s Ironman Florida was a 138.2 mile race rather than 140.6.